The Cadillac Eldorado was a gigantic front wheel drive personal luxury coupe that started life in 1967, although the name Eldorado was used on a convertible halo car as part of the series 62 platform starting way back in 1953. The big front drive under-steering boat won't impress anyone with its RV handling characteristics, but trying to nail apexes with any full sized 'Merican car from the late 60s is like trying to rope and hog-tie a woolly mammoth while riding naked on a giraffe. It sounds like a great idea on paper, but once you get all slathered up in like a petroleum slip-n-slide, you realize it was a horrible mistake. The same goes for building a custom bizarro car -- once you've created a custom Batmobile, you'll regret it after you sober up. Find this 1967 Cadillac Eldorado here on eBay offered for $9,999 in San Diego, CA. 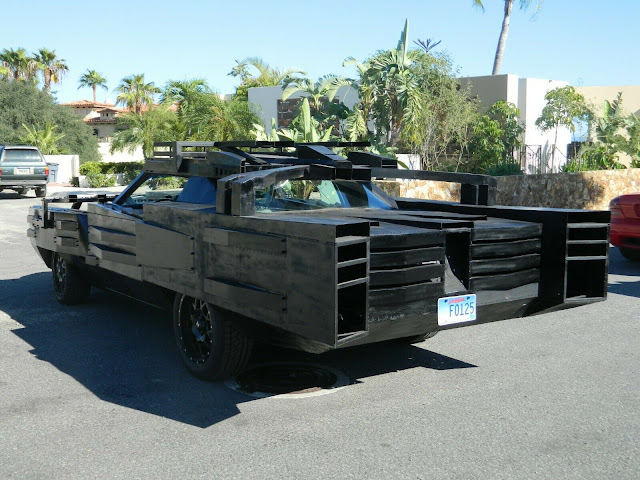 BadMax, MadMax from the front and Badmobile from the back. Rebuilt engine, rebuilt transmission, new suspension ( H2) new wheels, new tires, new air condition. Runs and drives great. Exhaust sits on top of the car, sounds absolutely amazing. Needs paint and interior and custom tail lights. This car is built out of light steel. I have 30k in this car. I also have all digital instruments to put in, if the price is right I will add it on. PLEASE do not contact me to insult me or to tell me that you do not like this car! Just move on have a life and leave me alone! Looks like someone had a terrible accident on the way home from a run to Home Depot! In all seriousness, with a bit of charcoal gray paint and some blaster pitting, this beast could be converted into a driveable Millenium Falcon. I really am not kidding. Far more marketable for say, bar mitzvahs and 5 year old birthday parties. Dressing up like Chewie or Han would be optional. The lego movie called and wanted it's rejected vehicular concept back. 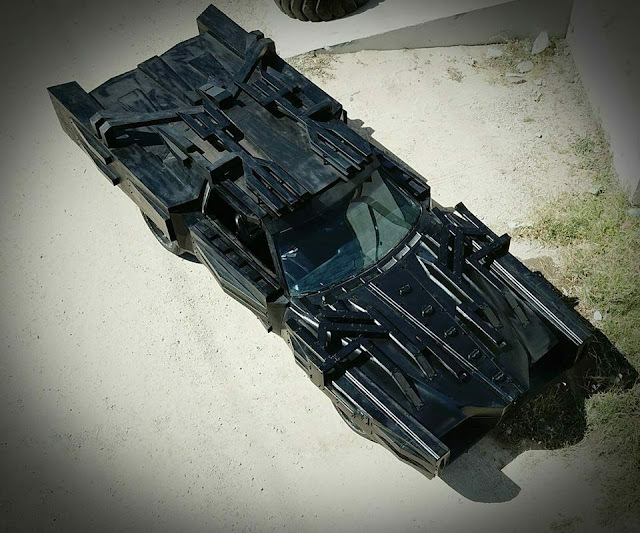 A Bat Mobile made of left over scraps from the job site. Do LeMons rules say the roll cage has to be on the inside of the car? OK, yeah, you could easily turn this into a Star Destroyer as well. Just smash the front end (both sides) so it forms a point.